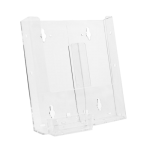 The Wall Mount Single Pocket Half-Page Brochure Holder is for material up to 6 ½” wide; commonly known as half-letter or half-page size. 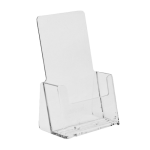 This brochure holder is crystal clear, high impact with an extra capacity deep pocket. 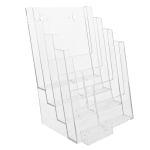 This popular sized model is ideal for leaflets, brochures and booklets up to 6 1/2'' wide. 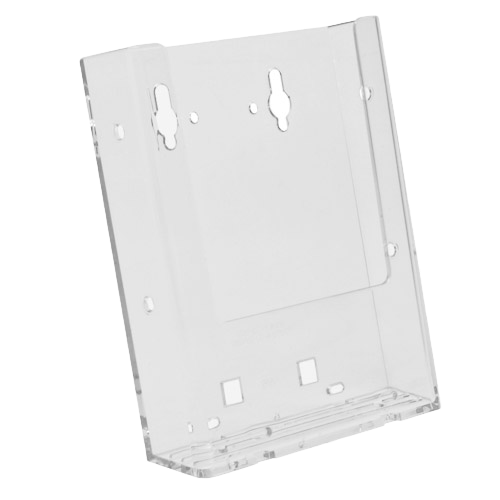 Resource guides, maps, city guides and tourist information booklets.